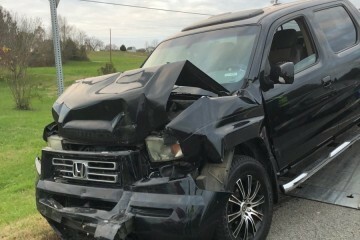 Wife rear ended another car 3 weeks ago. Tow guy said probably not worth repairing, but engine, transmission, etc., ought to be good. All four tires just bought this past summer and probably have less than 8000 miles on them. This junk vehicle advertisement was created on December 5, 2018 and it's located in the city of Westmoreland, state of Tennessee. If you're interested on the entire Honda Ridgeline 2006 or any part, or want to make any related question, please use the form below in order to talk directly to the owner.